Empanadas are always a big hit among my circle of friends and family. They are easy-to-make and delicious! What more could you ask for?? Defrost/thaw frozen discos and sofrito. Cook ground beef; strain. Mix together in large bowl: ground beef, sofrito, cheese, jamón, and sazón. Let mixture cool 5 minutes before preparing empanada (to prevent discos from getting too doughy). Place a heaping tablespoon of ground beef mixture into the center of disco and pinch ends together with a fork on both sides. Deep fry in vegetable oil at medium heat until disc is fully cooked and crispy. Place in container with paper towels to absorb extra oil. Cool and serve with sour cream and hot sauce as dressings on the side. 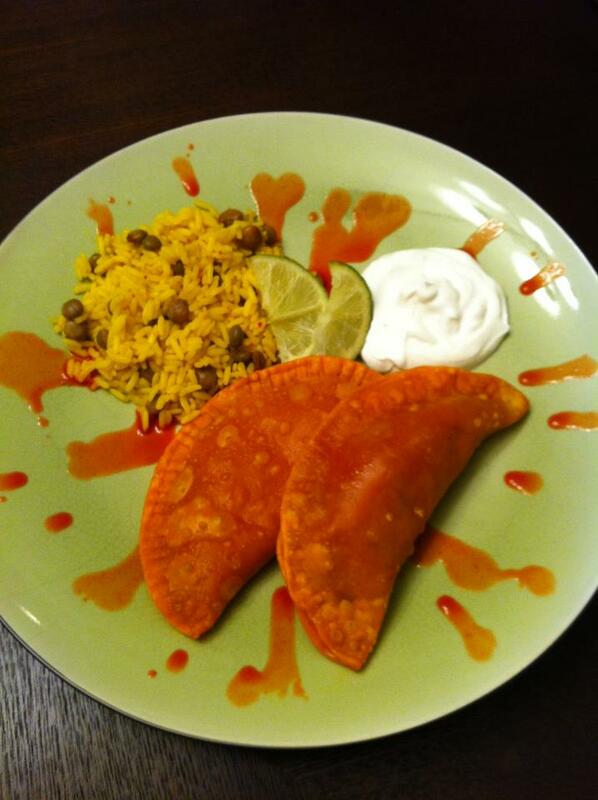 I like to get creative with empanadas by putting different things inside (e.g. pumpkin filling with nutmeg and cinnamon topped with cream and honey drizzle). Use your imagination and come up with your own concoction!